Coworking spaces are membership-based work areas, leasable monthly and daily. Company footprints range anywhere from large, world-wide spaces like WeWork that can house larger teams, and smaller spaces like Elevator Factory in Atlanta, that attract freelancers, entrepreneurs and small teams. Coworking spaces have been multiplying in cities worldwide over the last 5 years, and studies are showing that they are here to stay. According to Deskmag’s 2016 Global Coworking forecast, 62 percent of coworking space owners are planning on expanding their spaces (as opposed to 59% the year before), which implies that demand is growing. oworking spaces allow productivity to soar. Being surrounded by like-minded, enthusiastic professionals is highly motivating, which will increase you and your team’s productive output. According to, 71% of respondents said joining a coworking space has positively impacted their creativity, and 62% said it has positively impacted the quality of their work. One of the key benefits of working in a space with other businesses and professionals is the ability to network and connect with other professionals and businesses. 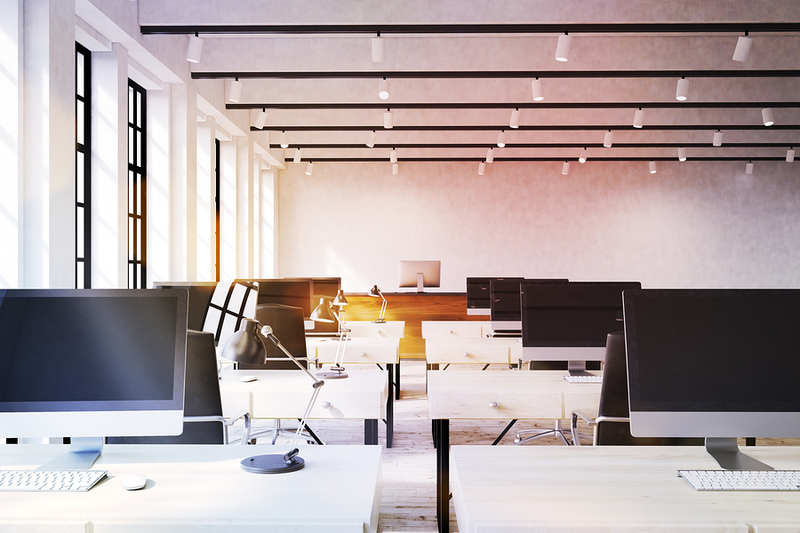 Using a coworking space is a nifty way to give your team a larger business setting without the costs or pitfalls of leasing a large, modern office space. Coworking spaces offer a variety of membership options. Typically, payment options are month-to-month, which eliminates the commitment of signing a lease. Coworking spaces offer the choice of working in a common area, dedicated desk or private office, which can lead to greater productivity when employers and employees are able to choose which plan best suits their team and individual needs. Many spaces also offer flexible hours.